Weaponize that stuffy tux of yours! 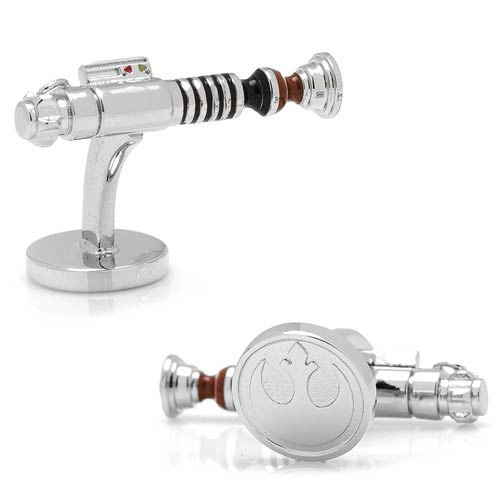 These Star Wars Luke Skwalker Lightsaber Cufflinks are highly detailed, and look just like the hilt of Luke's lightsaber. Officially licensed by LucasFilm LTD. Measures 1-inch long. Ages 12 and up.